The Clock Tower of Bitola, known as Saat Kula is one of the landmarks of the Macedonian city Bitola. The clock tower is the most recognizable monument that identifies Bitola. The exact date of building of the tower isn’t known, but it is first mentioned in inscriptions of the 16th century. There is a legend of the clock tower; the story of the 60,000 thousand eggs that the Ottoman authorities had collected from the population to be used for its construction to be stronger and more resilient. The Prague Orloj – One of the most famous of this type of clock is the Old-Town Hall clock in Prague, Czech Republic. 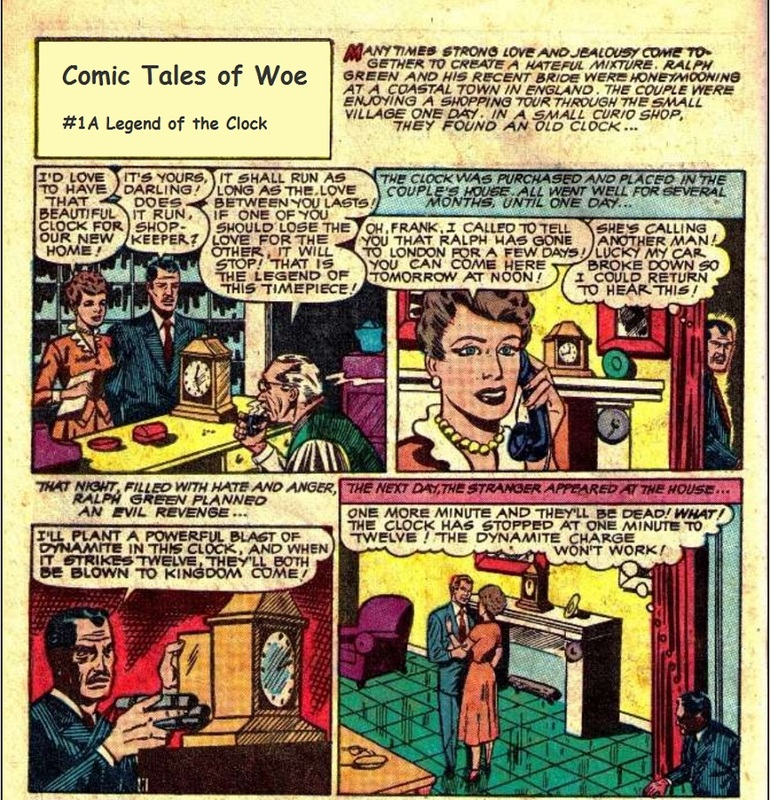 During World War II the clock was nearly destroyed by Nazi fire. The townspeople are credited with heroic efforts in saving most of the parts. It was gradually renovated until 1948. In 1979 the clock was once more cleaned and renovated. 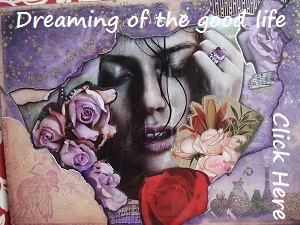 According to local legend the city will suffer if the clock is neglected and its good operation is placed in jeopardy. The Strasbourg astronomical clock in the Strasbourg Cathedral in Strasbourg, Alsace, France. According to legend, the creator of this clock had his eyes gouged out afterward, to prevent him from reproducing it. Similar legends are told for other clocks, such as the astronomical clock in Prague. In the same room as the Strasbourg clock, there is a statue of a man resting his elbows on a balustrade. According to legend this was a rival architect to the one who had built the pillar of angels, the architectural feat of the era, who contended that one single pillar could never support such a large vault, and he would wait to see the whole thing come crashing down. St Paul’s Cathedral clock There is an 18th-century London legend of a clock that struck thirteen times and saved a man’s life. The story goes in Great Britain that St Paul’s Cathedral clock on one occasion struck thirteen bongs of the bell at midnight, with the result of saving the life of a soldier accused of sleeping at his post. An obituary notice of a John Hatfield that appeared in the Public Advertiser a few days after his death states that a soldier in the time of William and Mary was tried by a court-martial on a charge of having fallen asleep when on duty upon the terrace at Windsor. It goes on to say that he categorically denied the charge against him. Benjamin Banneker cartoon by Charles Alston, 1943, claiming that Banneker had, among other things, “constructed the first clock made in America”. He swore as a proof of his having been awake at the time that he heard St Paul’s Cathedral clock strike thirteen, the truth of which was much doubted by the court because of the great distance. Affidavits were made by several persons verifying that the clock actually did strike thirteen instead of twelve, and the soldier was pardoned. In 1943, an African American artist, Charles Alston, who was at the time an employee of the United States Office of War Information, designed a cartoon that embellished the statements that Henry E. Baker had made in 1918. Like Baker, Alston incorrectly claimed that Benjamin Banneker “was placed on the commission which surveyed and laid out the city of Washington, D.C.” Alston extended this claim by also stating that Banneker had been a “city planner”. 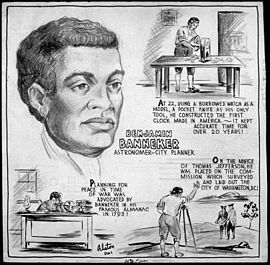 His cartoon further stated that Banneker had “constructed the first clock made in America”. Who was the man who helped design the nation’s capitol, made the first clock to give time in America and wrote the first almanac? Benjamin Banneker – a black man. The question’s answer is incorrect, however. Banneker did not help design either the U.S. Capitol or the nation’s capital city. The first known clockmaker of record in America was Thomas Nash, an early settler of New Haven in 1638. A known American clock was made in 1680. A researcher has noted that at least four clock makers were working in Annapolis, Maryland, before 1753, when Banneker completed his own clock.